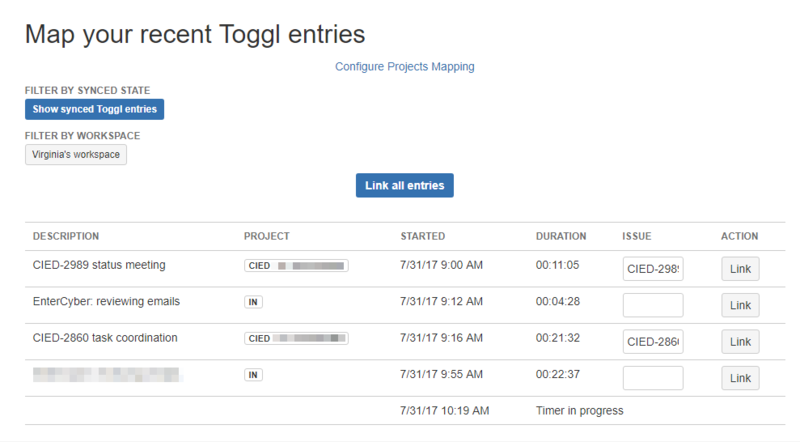 On my last blog post, I wrote about Why I Stopped Using the JIRA Tempo Tracker and how I instead started using toggl. And as promised, here’s my review on toggl after using it for one month. As I mentioned before, I started using toggl after Tempo’s tracker was updated and no longer omnipresent. Toggl timer, on the other hand, can be used from their web app, desktop app and mobile app, and of course, the timer will be synced across all platforms. For the purpose of this post, I’ve only used toggl’s free version and the paid JIRA-toggl integration (only $5 monthly flat rate for up to 10 users). My first two weeks using toggl, I was very happy. It’s very easy to use, I just start a timer from the desktop app, and when I’m done I can add details of what I was doing. The best part, it will remind you to either log time, or to stop the timer if you’ve been idle for a while. For both cases, you can set how long before you’re notified. By default, it reminds you every 10 minutes if you haven’t started a timer, and checks if you’ve been idle for 5 minutes or more. Since you won’t always know the Issue when writing the description, you can always add them manually later. To sync, you just need to either click on “Link all entries” or sync one by one by clicking on “Link”. The first time I tried this, I went to check on my worklogs in JIRA (very excited to see it in action) and was completely disappointed when I saw nothing had been synced! I panicked for minute, but then I was too busy to be able to worry about that. 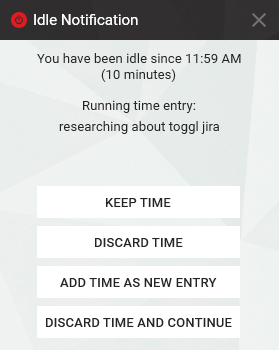 I kept logging my time on toggl, and promised myself that before the day ended I would find out how to really sync toggl and JIRA. Of course, as the procrastinator I am, this went on for almost an entire week. When I finally went back to check on how to successfully sync my toggl entries as JIRA worklogs, I noticed that those first few entries had been synced. A little confused, I tried syncing again, but just like before, worklogs weren’t updated. My very bright mind then realized that there was probably a time lag, and after checking the worklogs again after a few hours, I noticed I was right. The only downside I currently see is that the syncing takes a while, but that’s it. I also still need to find out how to make reports, but currently we’re still using Tempo’s reporting tool (we’re used to it and they work well) along with tracking time with toggl.